Looking for a safe and loving home from home for your dogs while you are away on holiday? Why not bring them to the SPCA? 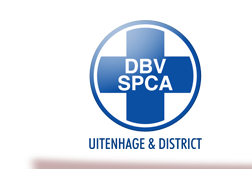 We accommodate cats and small, medium and large breed dogs at very reasonable rates at our clean and comfortable Uitenhage SPCA boarding kennels. You can relax, knowing your cats and dogs will receive the best possible care! Special rates can be arranged if you are boarding more than 1 cat or dog at a time and/or if it is for a long period of time. Animals that are not fully vaccinated (at least 2 weeks prior to admission) will not be admitted under any circumstances. Proof of vaccines must be produced – this is for the animals' protection. Please provide your own food for your pet during its stay. We will provide bedding, regular fresh water and lots of love and attention.